about Chinese word. Not surprise if she has miss this word too! Hua qiang bei is an area perhaps a street in China Shenzhen city. It is famous about electronic. You can find various electronic products which popular in the market. For electronic lover, you should know the Akihabara in Japan. For China, everyone think huaqiangbei. What Famous about Hua Qiang Bei? Hua qiang bei is a street name of Shenzhen futian district. In Shenzhen travel guide, normally it will elobarate Shenzhen is a develop metropolitan city in souther part of China. It takes 45 min train distance from Hong Kong Tsim Sha Tsui. 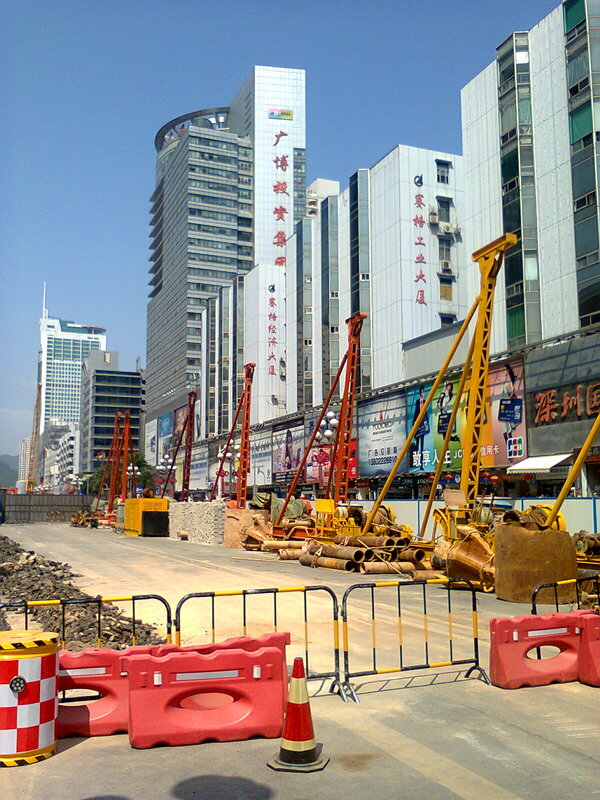 Due to it location, Shenzhen also the door for Hong Kong residence or foreigner come into China. There are 3 Shenzhen sub-way stopped at Hua Qiang Bei, you should be able getting a suitable and affordable Shenzhen hotel along the sub-way. Gaungzhou expo are the grand expo for foreigner to learn about China product, it conducts twice per year. However in Hua qiang bei, we can find the latest electronic products everyday with the exeption during Chinese new year. Sai Ge is the famous building in hua qiang bei. This building is located at the junction of Shen Nan Road and Huang Qiang Road. The 66 floors of Sai Ge building also becomes one of the high density electronic shopper. What can find in Hua Qiang Bei? Hua qiang bei is the location famous for electronic products, such as China made tablet, smartphone, eltronic components. Most of the electronic gadget is able to find in this street. Lately the i-phone, ipad casing and Samsung casing are hot sale products, in hua qiang bei, you can find a whole building is selling similar products that I am pretty sure you should be able to get one you like. Due to the high density of hua qing bei, Shenzhen government has no way but to come out a extensive plan for upgrading hua qiang bei. 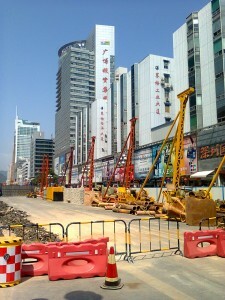 As of this article, the hua qiang road has been closed for underground renovation. Vehicle has been blocked entering to this area but you can take sub-way. The entire project will take 35-38 months to complete. We are looking forward for the completion of the new project. Next time if you are in Shenzhen, and you are really running out of time for shopping. You should spend 1 hour in the building of Sai Ge in huang qiang bei, you will be impressed for all electronic stuff. This entry was posted in Social Topic. Tags: hua qiang bei, shenzhen electronic, shenzhen travel guide.